This mobile unit acts as an art island where four or more can work. There's lots of storage between the easels and on the shelves. 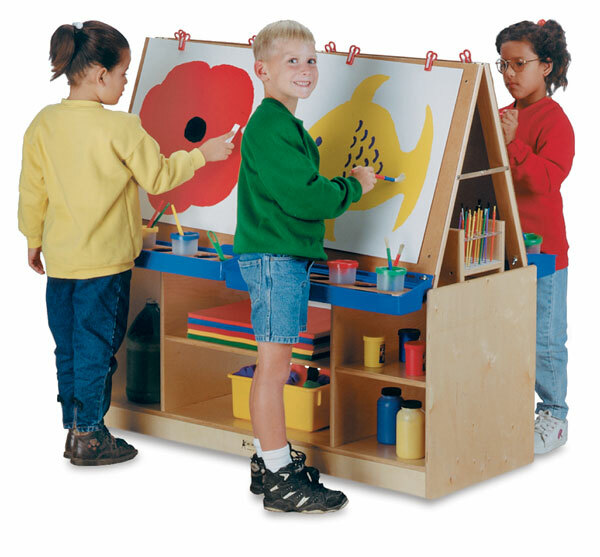 With durable, stain-resistant KYDZTuff finish and hardboard easel panels. It even includes clips and paint trays.